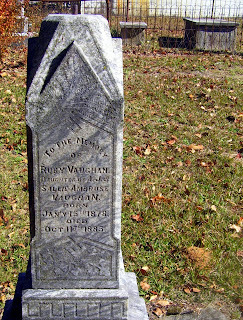 Ruby Vaughan was born 15 January 1878 in Georgia to Andrew J. and Sarah "Sallie" Ambrose Vaughan. 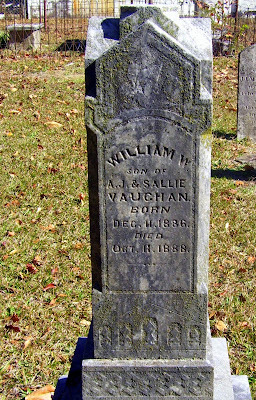 She is listed with her parents and sister Mamie in the 1880 Lawrenceville, Gwinett County, GA Federal Census. 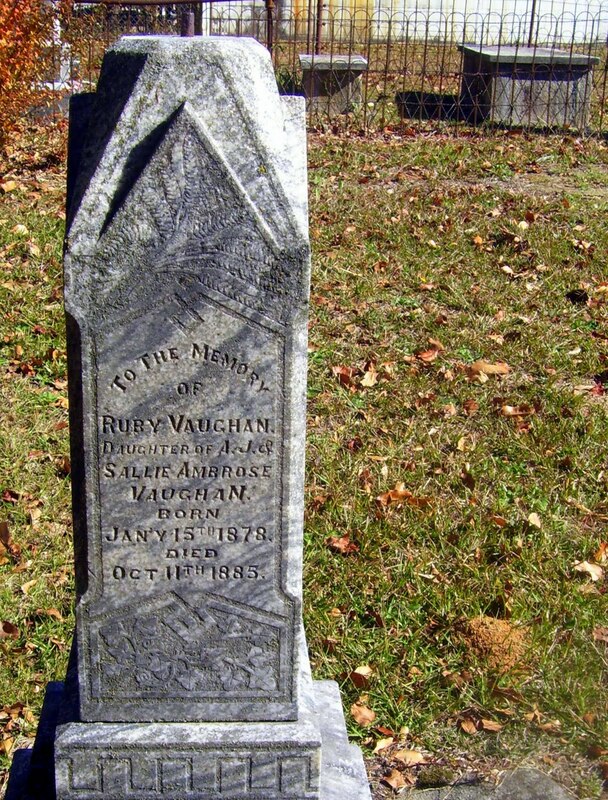 Little Ruby died 11 October 1885 and was buried in Lawrenceville Historic Cemetery. 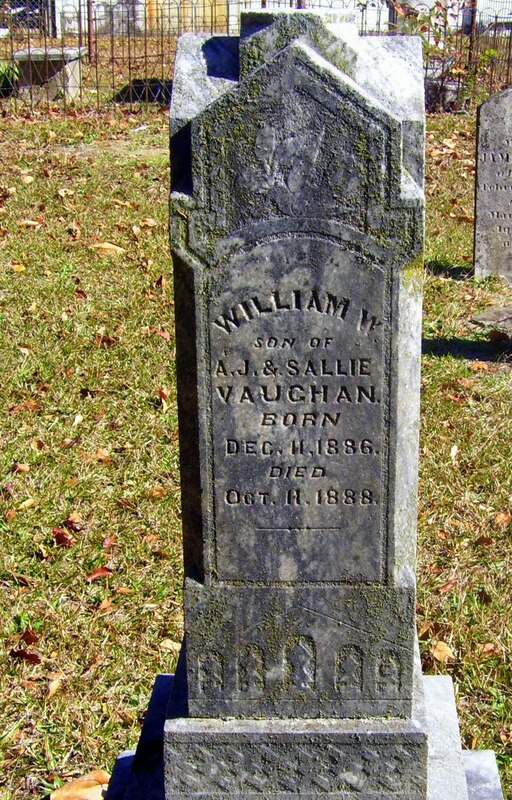 A year after Ruby's death, A. J. and Sallie had a son, William W. Two years later, about the anniversary of Ruby's death, little William was laid to rest beside the older sister he never had the chance to meet.